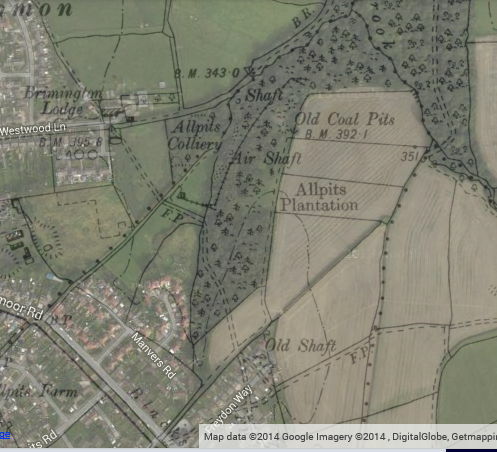 I came across this interesting old tramway circa 1895, here overlaid on Google. From 'F.P'. near Allpits Colliery towards the 'Shaft' in the woods. I have not come across any information about it. 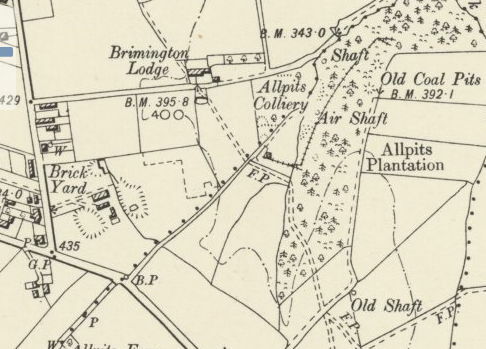 Would suspect it is coal mining from a small colliery in the woods bringing coal (clay) to a place nearer the road network for transportation. It is not on earlier or later maps.